Ocean Pitch provides the very best for its campers. Our excellent facilities will cater for all of your needs and we strive to run an ultra clean and accommodating Campsite. 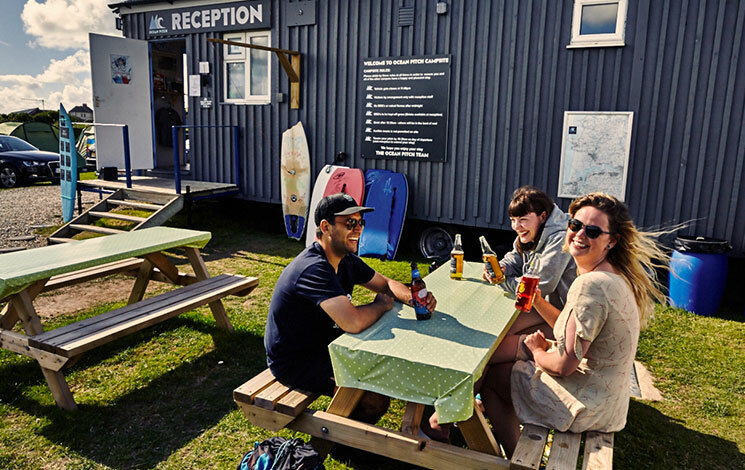 Whether you’re looking to relax, unwind and enjoy our peaceful Croyde Campsite atmosphere or even if you’re here to make the most of the beach & surf, we’ll do our very best to make your stay as enjoyable as possible. Check out our onsite facilities below & our very scrumptious Snack Shack menu.